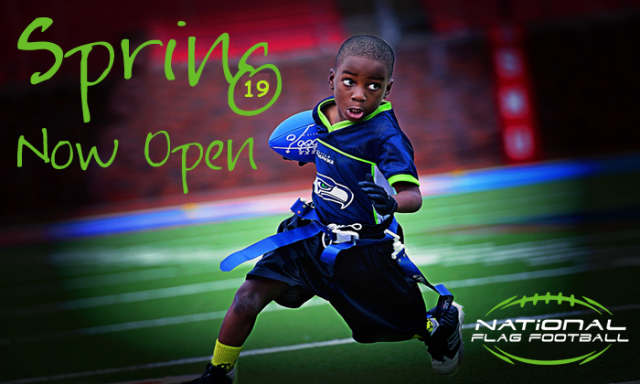 2019 Spring Flag Registration ends March 31st! Updated Sunday March 24, 2019 by CFA. Spring Flag Registration is OPEN for both the Boys and Girls Divisions. Regular registration ends March 31st, starting April 1st there will be a $25 late fee added to any registration. Practices start the last week of March and Opening Games are April 13th. The program is open to boys ages 7 to 17 and girls ages 8 to 17 at the low cost of $75 (including Flag Jersey to keep).The Boys Program will be broken down into 3 Divisions (7-9 year olds, 10-12 year olds, and 13-17 year olds). The Girls Program will have 1 Divisions (8-17 year olds). Why wait?? Register TODAY to secure your spot! External links are provided for reference purposes. Culpeper Football Association is not responsible for the content of external Internet sites. Copyright Culpeper Football Association All rights Reserved.